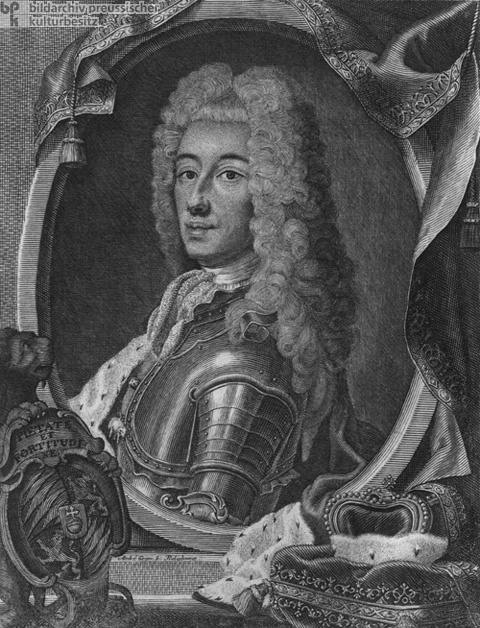 The Wittelsbach Charles Albrecht was the Elector of Bavaria and the son-in-law of the Habsburg Holy Roman Emperor Joseph I (r. 1705-11). He was put forward as the candidate for the throne of Holy Roman Empire upon the death of Charles VI on October 20, 1740 (r. 1711-40). During the last decades of Charles VI’s reign, Austrian diplomacy had endeavored to persuade all the European powers to accept his so-called Pragmatic Sanction of 1713, which aimed to secure the succession of his daughter Maria Theresa to the Austrian (and thus, indirectly, to the imperial) throne by stipulating the right of male or female primogeniture. During Charles VI’s lifetime, Charles Albrecht had promised to guarantee the Pragmatic Sanction. After the Emperor’s death, however, Charles Albrecht contested it and joined Frederick II (“the Great”) of Prussia, the elector of Saxony, the king of France, and a number of other European powers in an alliance against Maria Theresa. As a result of this alliance, Charles Albrecht of Bavaria was eventually crowned Holy Roman Emperor Charles VII in 1742. His reign was short-lived, lasting only until 1745. Notably, he was the only member of the Bavarian Wittelsbach dynasty to rule the Holy Roman Empire in the modern era. This half-length portrait shows Charles VII with his coat of arms (left), which reads “Pietate et fortudine” – “with piety and endurance.” Copperplate engraving, unknown artist, mid-eighteenth century.